Some of the best jobs are the simplest and most affordable jobs. Another great use of our NT Window Energy Master Vinyl Windows. A favorite because they're built here in North Texas just south of Fort Worth in Mansfiled Texas. They use Cardinal 366 Low E Glass with Argon Gas as a standard glass package but can also upgrade to Triple Glazing with Krypton Gas for a U value down into .18 territory. This was a very happy customer! Casement Windows are one of the many ways we are distictive from many other providers. 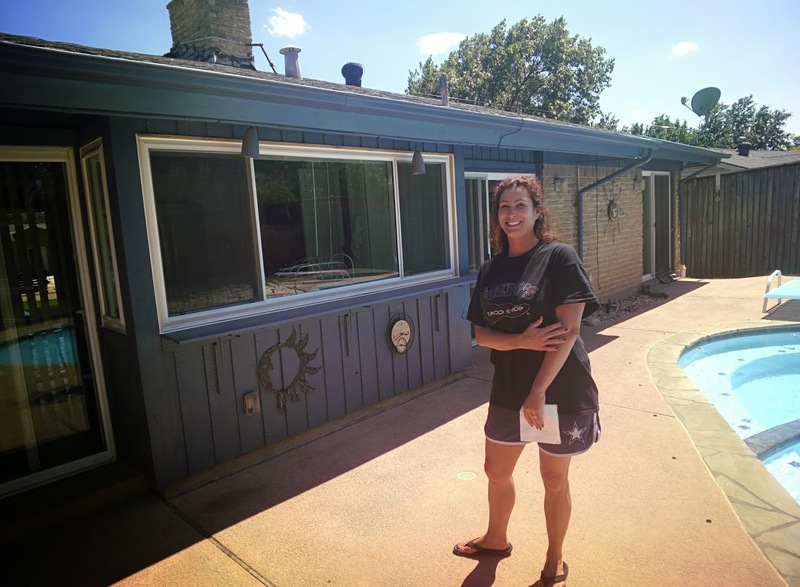 Knowing all the options in replacement windows and being able to convey those options in an affordable product line seems to be a challenge for many. 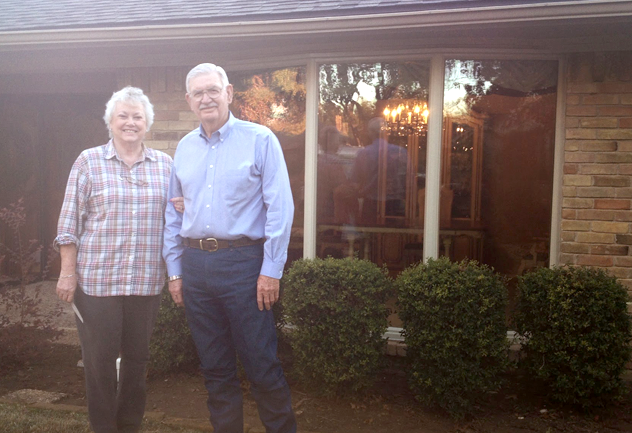 For Mrs. P in Farmers Branch, she actually told me that my windows "changed her life". Suddenly other things were getting fixed up and she wanted everything to be as beautiful as these new vinyl casement windows from Alside. She was a three time customer when all was said and done. Some of the great things about local manufacturers include price and quality. NT Window makes the Presidential, the Energy Master, the Traditions and the Executive. 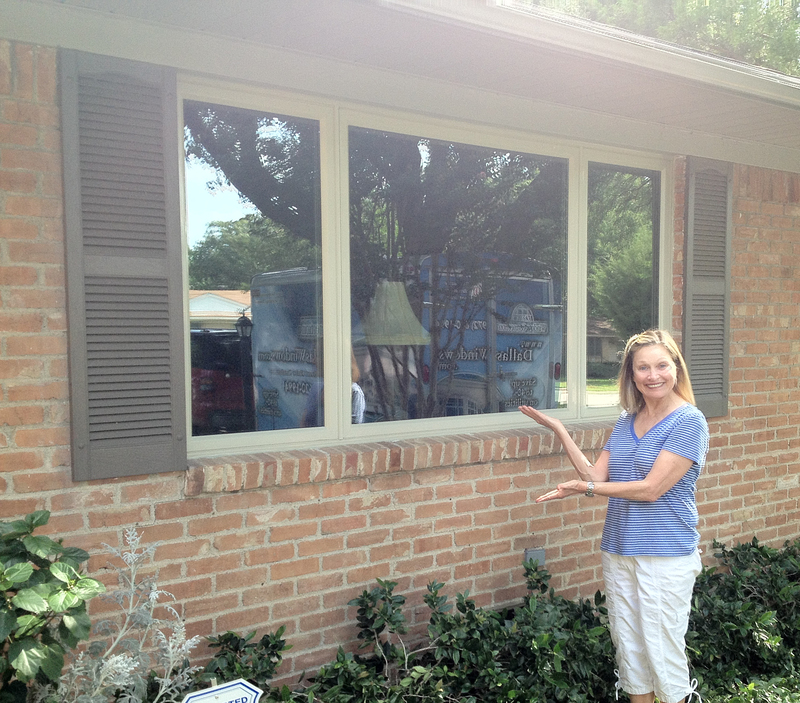 They are all locally made in Mansfield Texas and use the infamous Cardinal 366 Low E Glass with Argon Gas filled insulated glass. This gives us lower costs with less shipping and less breakage and still delivers the highest quality window at an affordable price. We're proud to have been a winner of their Dealer of the Year on seven different occasions. 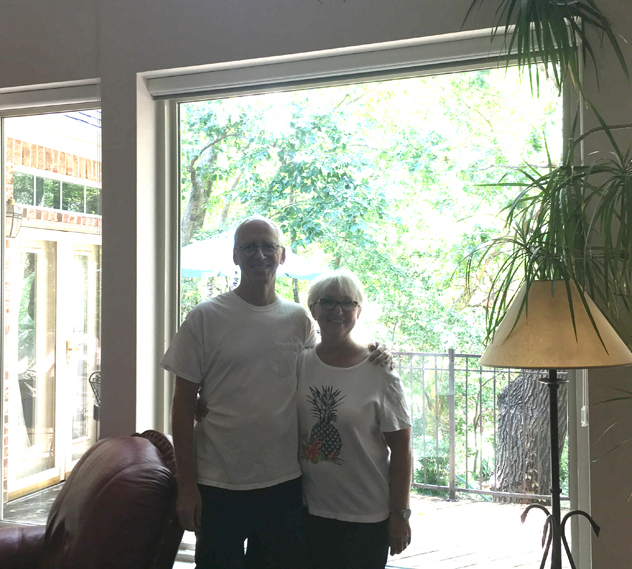 This project became a great showplace of both our windows and our world class ThermaTru Fiberglass Doors. It was better thermally and also offered a place for us to showcase tricks for using a spacer to help reuse the traditional old world casing while also sealing up the threshold and finding a better transition there. Mr. H was all smiles and will be sitting in a room without drafts from now on. This was one of those criss cross leaded glass picture windows from the decades ago. It was dated and hard to see through and it pretty much screamed "I love the 80's". Now I love a better look and this was indeed a better look. Two thirds of the window can open for ventilation and it's one of the best looks out there in modern vinyl replacement windows. Three Lite Casement Window split into thirds. 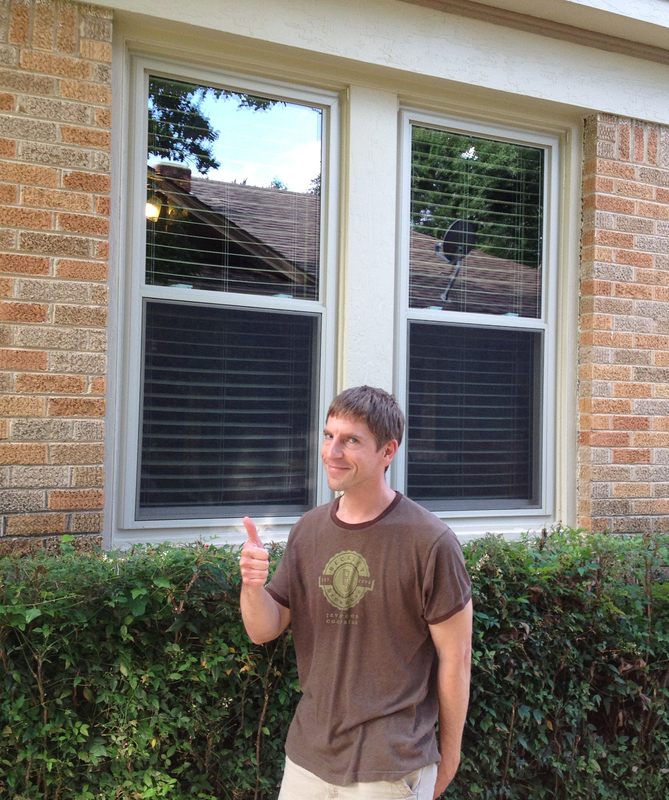 Finding the right look for a home is really important with vinyl replacement windows. 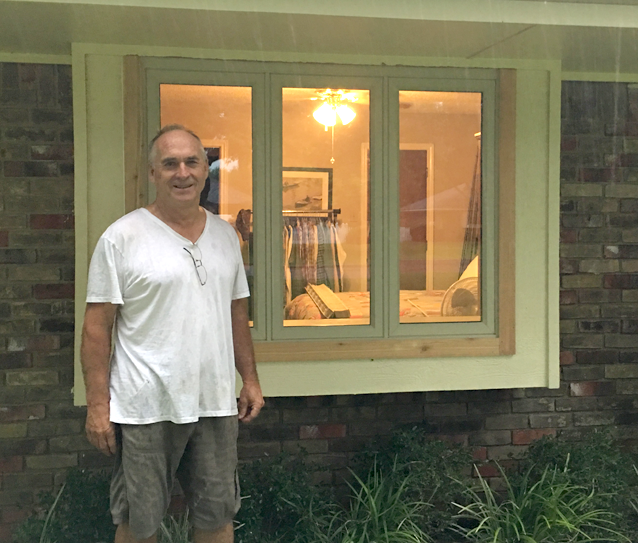 When you want more glass and less frame but still need performance and longevity, there is on one better to talk to about your window project. This one had a great view of the pool and needed as little frame and as much glass as possible. We can do that and still offer a lifetime warranty on our products. Alside Vinyl Three Lite Casement Window with Prairie Lite Grids, Low E Glass and Argon. Being able to make a statement and be yourself to the outside world is something to be valued. We help you find a way to do the fun thing for your house that will keep you smiling. See our Google Maps Reviews by Clicking here. We have 18 Five Star Reviews and one jerky competitor trying to make me look bad! We're pretty proud of the before and after gallery. Come see why! Call us today for a free in home evaluation and recommendation. We're here to help! or Email us about your project or your question.